Teaching and parenting are very similar jobs. When I finally became a mom halfway through my teaching career I discovered that my classroom management skills applied at home, too. Toddlers and teenagers are very much the same just different sizes. In the world of education, we often talk about the concept of “best practices.” This is a method of teaching that has been researched and tested in actual classrooms showing an outcome that is best for students. In the world of parenting, it’s not much different. Many moms will tell you they have the solution you need, which makes it very overwhelming sometimes. I can’t begin to tell you how many times I have spent hours reading about, planning and preparing the perfect lesson only to have it completely flop in my classroom. The same goes with parenting, it’s a trial and error kind of job. Which is why we moms often find ourselves scouring Pinterest for the perfect solution, or at least the next best idea. Here are 3 foundational best practices that I have found to be helpful inside the classroom and at home. Toddlers and teenagers both have very good memories. If you tell them you are going to do something they will call you on it the second you don’t. It’s important to follow through with the things you say you will do. 1. I can collect the books and put them away because I’m annoyed by the disorganized mess. 2. Provide a consequence for the students who keep leaving their books behind. We all know the second option is the right option, but it’s also the harder option. Following through with a consequence means taking note of the offenders, tracking them down if I don’t catch it until they’ve left the room and sometimes using my lunch to host detention. None of these things do I want to do, but if having a tidy, well-organized classroom is important to me then this is the battle I must fight in order to win the war. It’s the same with our toddlers. When my son throws a temper tantrum ten minutes before bed because I’ve asked him to clean up his cars I have to stick it out until he picks up the cars. If I allow him to throw the tantrum and choose to skip the cleaning but send him straight to bed it’s not actual punishment. He's still getting what he wants; he didn't have to clean up the cars. I personally learned this as a young girl myself. My mother would ask me to clean my room and I wouldn’t do it. She would then ground me to my room. At this point, I would stay in my room and read all day. No eating, no drinking, no joining the family. I was stubborn like that! Which then drove my mother crazy, but come Monday she would clean the room herself while I was at school. You see she conditioned me to behave in a way that got me what I wanted. As the adult, we train our children to behave, sometimes it’s how we would like them to behave and sometimes we teach them bad habits. The key here is to decide what’s important to you and what behavior you want in the end. Every book I’ve ever read about classroom management or parenting mentions being consistent and using routines with kids. They need it. We need it. It’s the way we all learn the boundaries. Teacher’s pet is my most hated phrase! It’s right up there with students who say, “Mrs. So-and-so hates me!” I try to remind them that teachers would not be in this profession if we truly hated kids. Surgeons who pass out at the sight of blood do not exist. Teachers don’t hate kids. They dislike the behaviors of kids. Same with parents. We love our children, but sometimes they behave in a way that makes them really hard to like at that moment. A consistent reaction to undesired behavior is extremely important. Kids learn quickly how we react to their bad behaviors. They especially like to see our reaction when they repeat that behavior over and over again. Can they wear us down to get what they want? Consistency will teach them NO! Take the example from before, my son likes to fall out the moment I say it’s time to clean up. How I react to this must be consistent for him to learn my reaction is not going to change just because he throws a fit. I need to follow through and be consistent in my reaction. Sure, it’s going to take several of these temper tantrums before he recognizes that I’m not letting him get what he wants. Mom said it’s time to clean up and that means cleaning is going to happen. When I handle the situation with the same reaction every time there is a little less resistance than the time before. Eventually, he learned that I mean what I say and there is no tantrum. A change in environment can throw a wrench in the progress you’ve made. Teachers are given new students every year, and every year the same students start by testing their new teacher. Our children will do this when we go to new places. They want to see if the tantrum will actually work when we’re at grandma’s house. Be consistent! Show them that the boundary for rules about cleaning up after yourself follow us wherever we make a mess. What I really wanted to say usually comes to me after the fact. After I’ve had time to process the situation. Editing our words is difficult because we can’t take back the things we say out loud. However, we can go back and ask for forgiveness. My students often show me more respect after I’ve gone to them to say I was wrong in how I handled that, please forgive me, let’s start again. Showing our own children how to forgive and how to ask for forgiveness starts with our model. It’s important to note that this is also a way of showing our children we value them, we value their feelings and we want to make it right. Before I became a mom I always struggled to hear moms say to their children, “Because I said so!” As a teacher, I’m conditioned to share with my students the value of our lessons. When we start argument writing it never fails that kids begin to complain. Why do we have to write so much? Because one day you’ll want to walk into your boss’s office confident that you can defend all the reasons you deserve a raise. This makes them understand why and I get a lot fewer complaints. Our toddlers are the same; constantly asking “Why?” over and over again. They truly want to know. I have found that giving them real answers actually helps, most of the time. Sometimes I end the barrage of questions with a simple ask God. In my mind, this is a much bigger lesson than being told no you can’t have that candy bar. He’s only 3 right now and he may not fully understand what I’m saying, but if I keep this as a consistent phrase then he will come to understand. It took me a few months to think about this reaction and the way I wanted to phrase it. Now that I have the phrase I’ve written it down in a journal so I can help him with this lesson. One I’m positive he’ll be learning well into adulthood. As teachers, we spend countless hours planning, preparing, and revising routines for our classroom. As parents, we must give ourselves the grace to do the same. If something is not working try a new approach. What works for one child might not work for your other children. As long as you stay true to following through with what you say and are consistent in what you say progress is inevitable. Carly is a veteran middle school teacher and rookie mom. 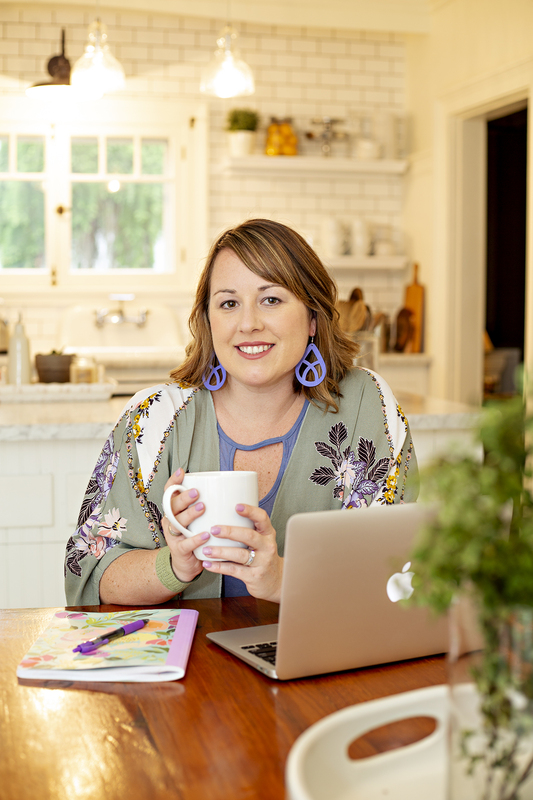 She also finds time to blog at TeachMomRepeat.com where you can find her best lesson plans and ideas for managing the working mom routine. Take a peek inside her classroom and home on Instagram @TeachMomRepeat. My Motto: Balance is a fantasy; smooth, well-managed days are reality.